It's almost March, which can only mean one thing; it's time to start thinking about St. Patrick's Day! I'm not sure when this holiday became such a big thing, but I'm not complaining because the children love it, and I love the magic that it brings to the classroom. 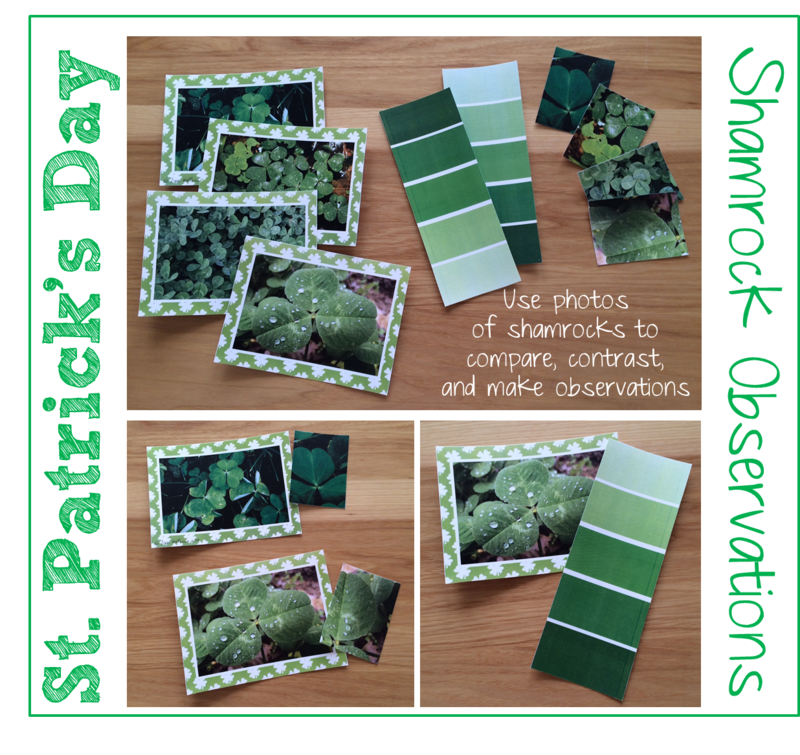 I recently updated many of My St. Patrick's Day materials, so I wanted to take a quick moment and share them with you to help you with your own plans for the holiday! 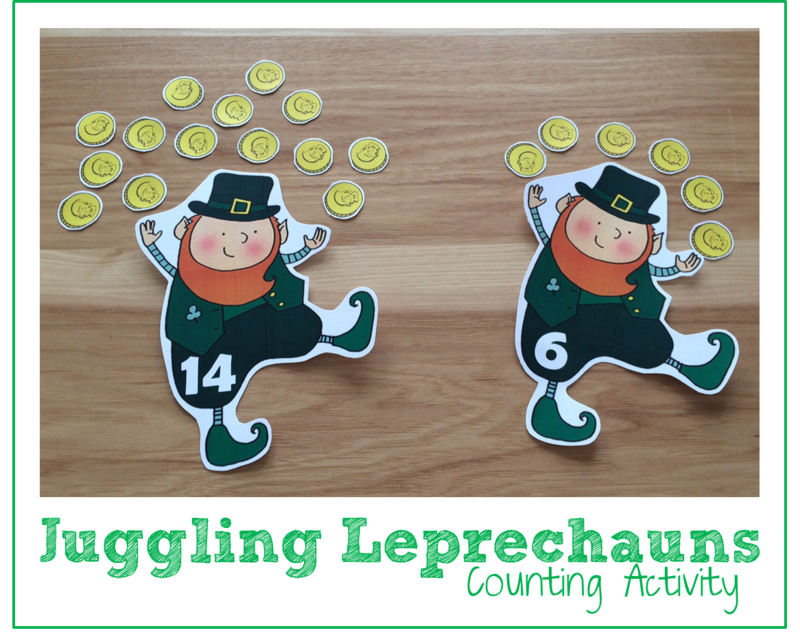 Leprechaun Counting: Use these cute juggling leprechauns to help students practice counting and number recognition. Each leprechaun has a number on his leg, the children can count out that number of gold coins for the leprechaun to juggle. This set includes leprechauns numbered 1-20. 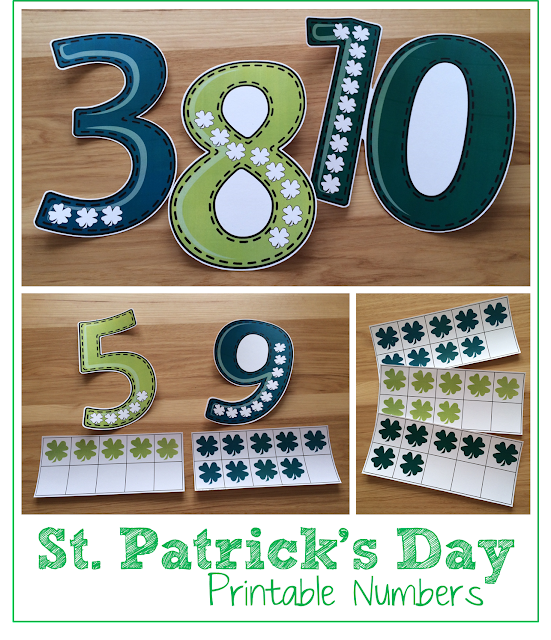 St. Patrick's Day Numbers: Use these numbers to practice one to one correspondence, counting practice, and numeral recognition. Students can match the ten frames to the corresponding numerals, or they can use counters or small erasers to count and cover the shamrocks on each number. St. Patrick's Day Alphabet Book: This book is a great way to celebrate St. Patrick’s Day while encouraging literacy. Each letter corresponds with a Irish-themed vocabulary word which will help children practice letter sounds. 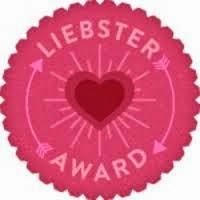 Print one for each child, or a few for a center. 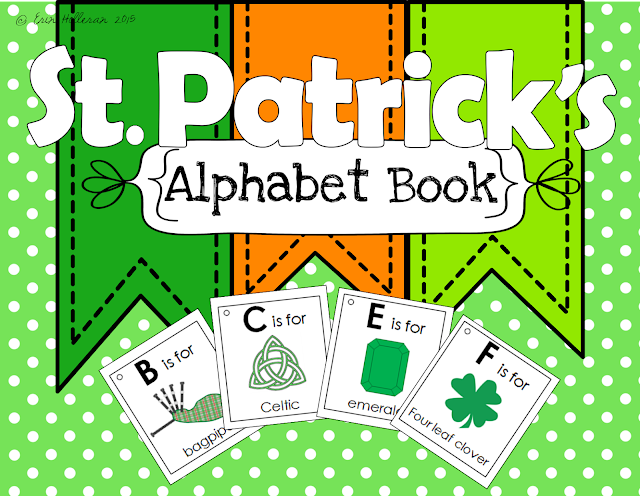 You could also have children create their own St. Patrick’s themed alphabet to go along with each of the letters. Leprechaun Traps: This pack includes 6 notes from a friendly leprechaun which encourage students to be creative in their attempts to catch him. 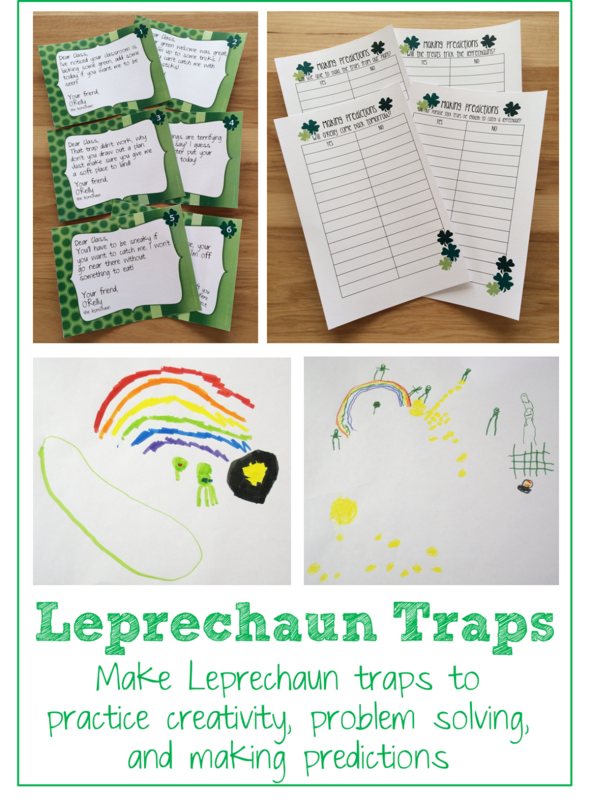 There are detailed instructions for each card, so that teachers can easily prepare the materials to be left by the leprechaun. This set also contains four charts which ask students to make a prediction about their traps, and what the leprechaun will do the next day. 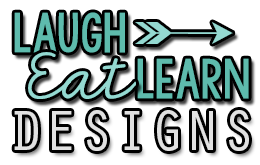 This is a great activity to encourage creativity, critical thinking, and cause and effect, while exploring basic STEM principles. You can read more about this activity here. St. Patrick's Day Shamrock Observations: Give the youngest children the opportunity to practice making observations using real photos of shamrocks. 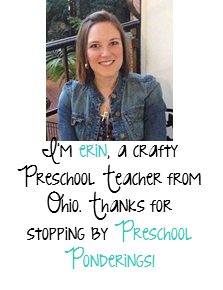 This pack includes a number of questions to ask children as they study the included photos, as well as color gradient strips that children can use to practice matching the colors that they see in the photos, and cropped sections of the photos that children can match with larger photos. The pack also includes a list of suggestions for extending this learning experience through exploring your own outdoor space, and ideas for additional games that can be played using the included pieces, As well as a technical drawing activity that encourages students to create a technical drawing using an actual shamrock as a drawing guide. 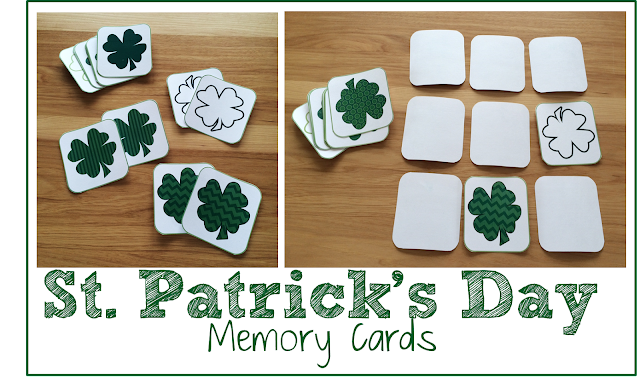 St. Patrick's Day Memory: Memory is a great game for all ages! Whether you use these cards with younger students as a simple matching exercise, with older students as a traditional memory game, to hide around the classroom for students to find the matches, or as a tool for partnering students, these cute shamrocks will help add some festivity to your St. Patrick’s day! St. Patrick's Day Classroom Decorations: This set includes everything that you need to host a classroom party - purchase the set once and use it every year! The decorations in this set includes a "Happy St. Patrick's Day" bunting, cupcake picks (or stickers), treat bag toppers, desk name tags, and a door decoration. 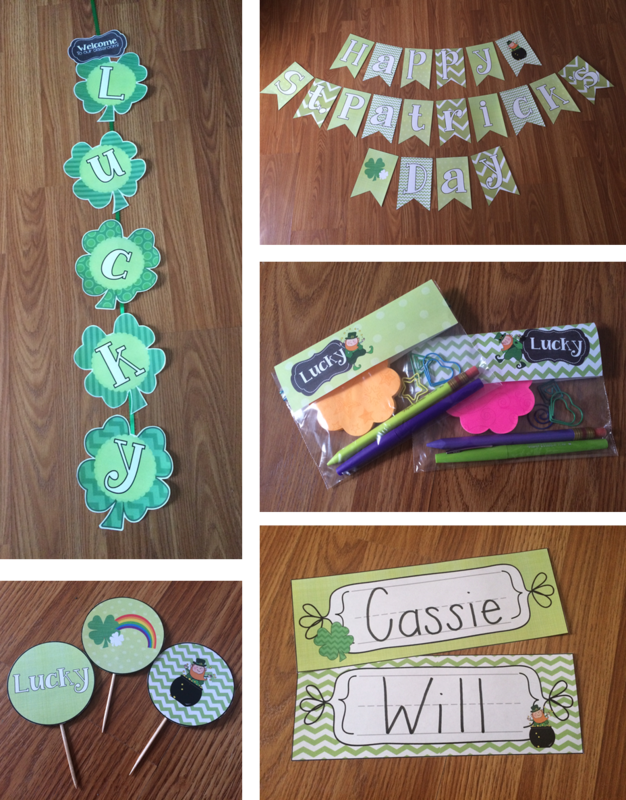 This set also includes templates for a class Shamrock wreath, a craftivity that will allow all of your students to take part in preparing for the class party! St. Patrick's Day is magical because of the thoughts of gold and leprechauns, but also because it celebrates the greenness that is spring, and the idea that winter is very nearly over. That in itself is a reason to celebrate!